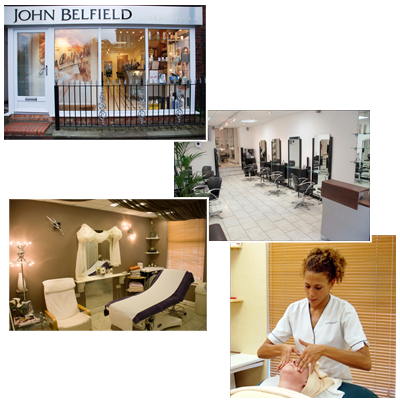 John Belfield International has now celebrated over 100 years in business and John remains at the top of his profession. The Belfield family name goes hand-in-hand with hairdressing in Stoke-on-Trent. 1908 saw Ralph Belfield open up his barber shop in Liverpool Road, Stoke. "I don't know why my grandad chose to open a barber shop but he went on to do well. I remember him in the shop and seeing lots of shaving mugs lined up. In those days, men used to come in for a shave after they'd been to the swimming baths in Stoke for a bath." Ralph lived at the premises and that’s where John's father Joseph was born. As Joseph also went into the trade he had his own place in Wolfe Street, Stoke, until he got called up for service in the Second World War. On returning Joseph went back to work for his father. Ralph passed away in the late 1950s and Joseph got to run the place himself. John started helping at the salon at the age of 12 in 1959, mainly on Friday and Saturday nights. "My dad would have me starting men off with the clippers and when we were in the shop together it was almost as if we'd got a little conveyor belt going. The shop was a big meeting place and there was a real feeling of community." By the time John left school, a haircut was a shilling and a shave was nine pence. "There were no local college courses for hairdressing, so I had to go to Manchester on the train every week to study.” From 1963 to 1969 John found himself mixing with a completely different crowd of hairdressers at the heart of the “Swinging Sixties”. In 1964 – two years before Vidal Sassoon cut Mary Quant’s hair – John became the first person in Stoke-on-Trent to complete a lady’s ‘Cut and Blow-dry’. Joseph retired in 1975 and John took over the running of the salon. Another salon was opened in Hanley in 1979, followed by one in Newcastle in 1986 and the Stoke salon was closed the same year. 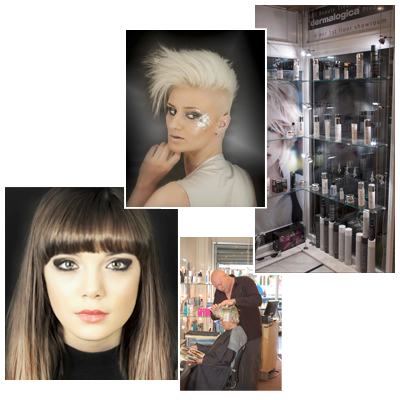 Today, John Belfield International still has salons in Hanley and Newcastle, employs 25 people and has its own range of products. During the 70s and 80s, John achieved success in competitions around the globe. He took gold in the 1972 world championships in Barcelona, silver in the 1986 competition in Verona and he also became the first hairdresser in the world to win gold medals for both male and female hairdressing. "Competitions are a great thing because I met hairdressers from all over the world and that gave me a great opportunity to see how they ran their businesses and the techniques they used. No surprise then that by the 70s and 80s, John’s expertise was being showcased worldwide, competing and demonstrating throughout Europe, Russia, USA and Japan. 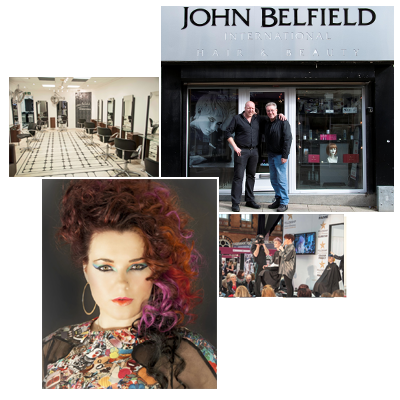 John Belfield International has also led the field in terms of product and sales innovation and has even starred on the silver screen, appearing as an extra in the film “Blow Dry” in 2001 alongside Alan Rickman and Heidi Klum! In 1965, John created his first hair product called “Fixit”, designed for the male ‘quiff’! In 1969, he opened the first “Unisex” salon and was the first local salon to bring in compulsory shampooing and appointment systems for men. In 1974, John and his team were the first to use Henna as a colour and the first salon to use American products. Such pioneering spirit continues today with the John Belfield own label product range going from strength to strength and featuring a ‘Professional’ range, a ‘Hand-made’ range and in response to the health and well-being needs of the twenty-first century salon customer, a ‘Trichological’ range. Equally evident today is John’s passion and commitment to the hairdressing industry - the business set a precedence in the 1990s by being the first employer in the area to offer an NVQ in customer service to a 15 year old still at school and continues to operate a successful apprentice scheme. "Work is also my social life and my clients are absolutely fabulous. I'm also working with the nicest staff I have ever had. I've got a great team of people." 100 years on and the Family tradition is being continued with John's Daughter Hannah bringing her skills and talent to the Newcastle Salon while John’s eldest son, Jonathan Belfield, manages the city centre salon in Piccadilly, Hanley. This is now the fourth generation of the Belfield family in the business. Jonathan and Hannah both agree: "Hairdressing was never part of our plans when we were growing up. Jonathan wanted to be involved in music or rugby and Hannah was more into Design and Ceramic Art but when we both started working at the salons it grew from there." "It is a mile stone for any business to reach 100 years. The things our dad has done in hairdressing are amazing. We're extremely proud of of the way he has not only kept the Belfield hairdressing brand alive for 100 years but for the way he has developed the brand for the future."